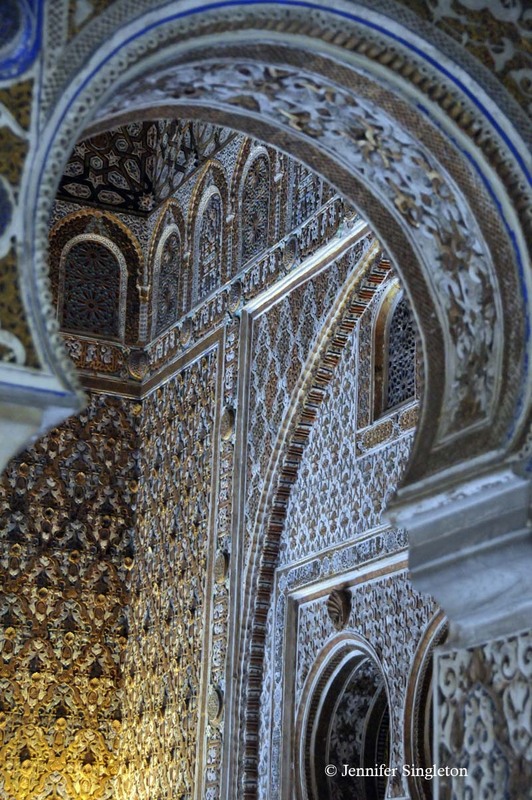 Even though Semana Santa and Easter are behind us, I think we’ll stay in Sevilla for a couple more days. 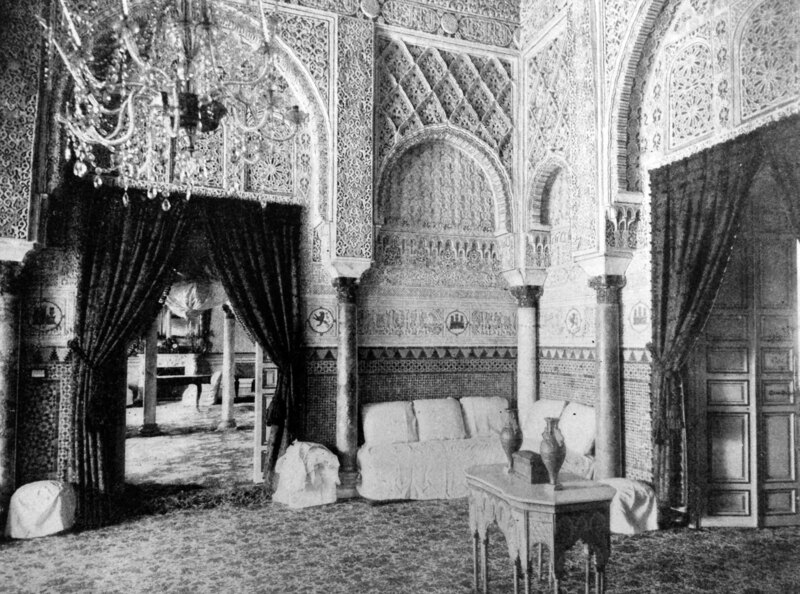 Going back to our Glimpses of the World book, here’s a late-nineteenth-century interior photo of the Real Alcázar … which is remarkable because the rooms are shown furnished. 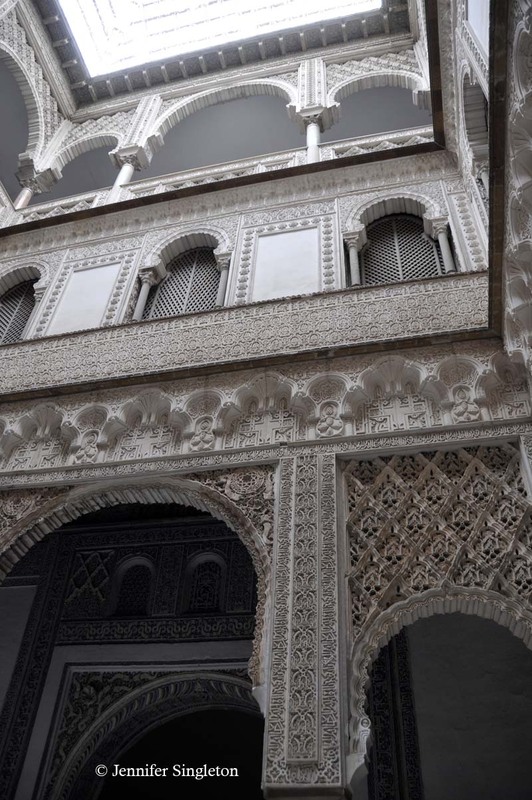 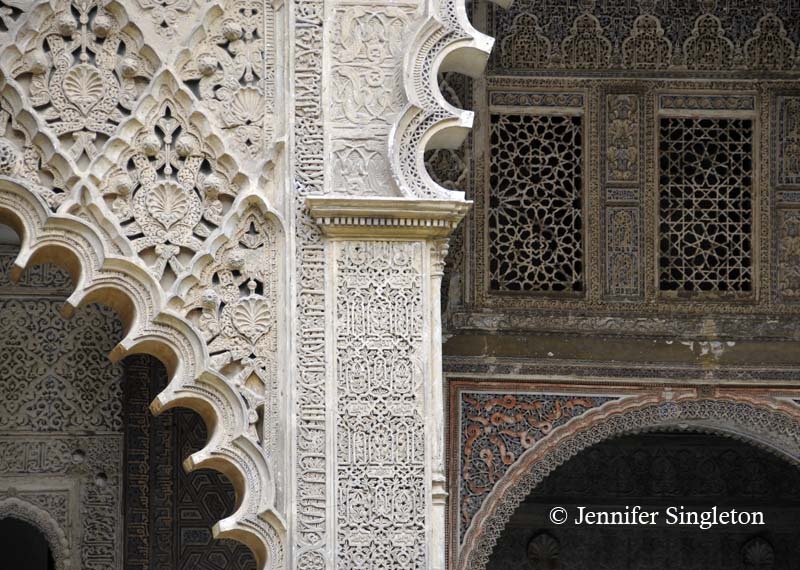 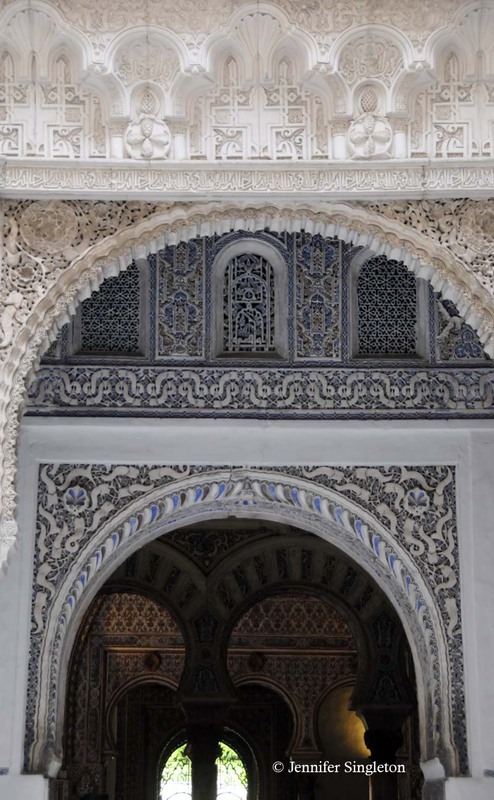 If you were to tour the Real Alcázar today, you could wander through gorgeous — but empty — rooms, and lovely courtyards and gardens.